We all know Gina Rodriguez is a super talented actress, but what we didn’t know is this: That she’s also an incredible rapper. The actress appeared on The Tonight Show Starring Jimmy Fallon to promote her new movie Deepwater Horizon (which comes out on September 30th) and revealed an interesting hidden talent, one we certainly were not expecting. Rodriguez told Fallon that during college, her nickname was “Cutz” and that she used to rap at parties with her friends (one of whom went by the name Lady Fury, FYI). Then, with help from The Roots, the actress dazzled Fallon and the audience with her rendition of Nicki Minaj hit Super Bass. Rodriguez also seemed thrilled to be on the iconic late night show, snapping photos with Fallon, The Roots, and Samuel L. Jackson, who was also a guest on the show. 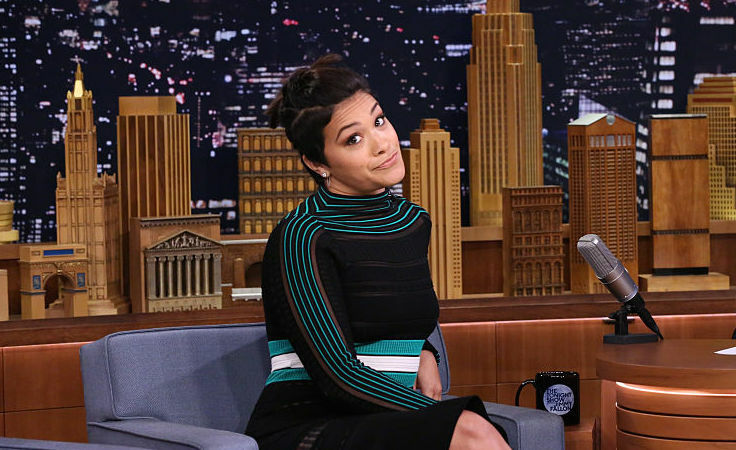 We already can’t wait to see her return to the Tonight Show (perhaps for a rap battle?)! Until then, we’ll be keeping this video on repeat.